MEXICO CITY, Aug 3 2012 (IPS) - Small-scale hydroelectric dams with a capacity of under 30 MW are seen by the authorities in Mexico as an important alternative for generating energy. But local communities reject them on the argument that they would cause social, economic and environmental damages. On the front line of the struggle are communities in the southern states of Puebla, Tabasco, Veracruz, Oaxaca and Chiapas, where there is great potential to harness hydro energy with small dams. “They claim the so-called mini-hydroelectric plants don’t have a negative impact on communities, but people already have the necessary information to know that any kind of dam has an impact,” activist Angélica Castro, coordinator of public advocacy and citizen participation in Services for Alternative Education (EDUCA), told IPS. EDUCA, a non-governmental organisation in Oaxaca, has been working since 2006 with the people of 39 communities in six municipalities in that state that would be affected by a 510 MW dam that the state Federal Electricity Commission (CFE) plans to build on the Verde River. The communities, which have joined together in the Council of People United for the Defence of Río Verde (COPUDEVER), are opposed to the construction of the hydroelectric plant, whose environmental and socioeconomic impact studies have not yet been completed. There are at least 50 public and private small-scale hydropower dams operating in Mexico, most of which are obsolete. Together, they generate around 50 MW of energy. The National Commission for Energy Savings (CONAE) estimates that the southern states have the potential to produce over 400 MW of energy by mini-dams, at 72 identified locations. Although Mexico’s southern states are the country’s poorest, they are rich in water, because of the large number of rivers and the high levels of rainfall. The non-governmental Mario Molina Centre reports that in Oaxaca and Chiapas, nearly all of the locally consumed electricity is generated by renewable sources like wind, geothermal and solar power, as well as miniature dams. Between 2010 and 2012, FUNDAR advised four communities in Oaxaca that would have been affected by the Cerro de Oro small-scale dam, which was to generate 10.8 MW of electricity. The villages managed to block the project. The companies building the dam had not consulted the local communities before the start of construction, in 2010. In November of that year, the local communities filed a complaint with the Office of Accountability of the Overseas Private Investment Corporation (OPIC), a U.S. government finance institution that mobilises private investment in projects in developing countries. The complainants argued that the two companies involved in the project failed to inform them of the small-scale dam or its environmental and health effects; did not consult the local communities; and did not identify measures to mitigate adverse consequences or compensate the owners of the land affected by the dam. OPIC granted 60 million dollars to the companies building the dam. In March 2011, a dispute resolution panel was set up, including the concerned parties. But the local communities did not accept the dam, or an alternative that was presented. In November, OPIC finally closed the case, and in March the project was definitively cancelled. But a number of rural areas in Mexico are facing the possibility of the construction of small-scale dams. A programme for electric works and investments for the 2012-2026 period, drawn up by the CFE, includes six mini-dams currently in the stage of prefeasibility or feasibility studies, without reaching the design stage yet. And studies are underway for another four plants with a capacity ranging from 30 to 50 MW. In addition, the Mexican government has three micro dams in the feasibility and design stages, which could become part of the national electric grid. And seven sites for installing small hydropower generators have been identified in Chiapas. Barriers to this technology identified by CONAE include a low level of acceptance of mini-dams by society, principally due to the lack of adequate information provided and the absence of community participation in the planning and building process. “The movement clearly understands that no dam, of any size, is good; that they all have negative impacts. The communities only want to be left alone,” Castro said. The affected communities have shared their experiences in the struggle, in areas like organisation, legal aspects, and environmental questions. COPUDEVER is studying the possibility of filing legal action against the Verde River dam. The study “Morphology of the Verde River”, carried out by six experts from the Mexican Water Institute and CFE, says construction of a dam sets off a process of sedimentation and erosion. In March, the ministry of the environment and natural resources authorised the construction of five small dams by private companies in Chiapas, to sell energy to CFE. Generally, the plants become the property of CFE once the 15 to 20-year contracts expire. In December 2011, the Senate approved reforms to the 2008 law on “the use of renewable energies and financing for an energy transition”, with the aim of promoting electricity generation by small-scale dams. 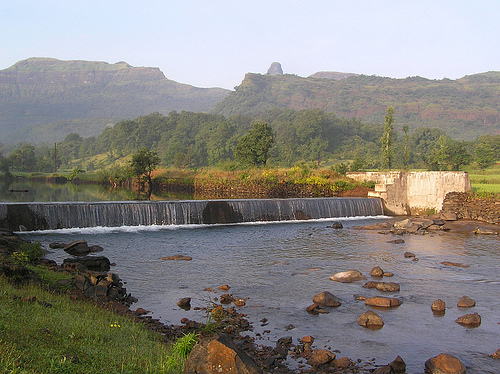 The National Institute of Ecology estimates that small hydropower dams could reduce carbon dioxide emissions by 261 million tons, by cutting the use of fossil fuels. Do human rights prempt plutocratic governxnce? Watch this story play out. OyVeh! Watch this story play out for your masters dissertation.